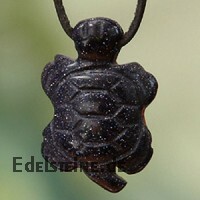 Size about 20 x 20 mm. 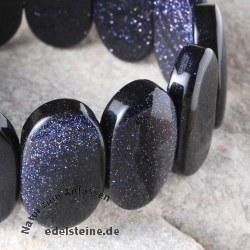 Blue, sparkling bracelet with elastic. 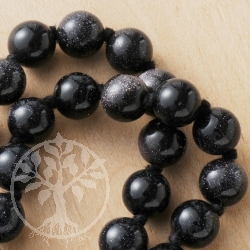 Stretchy bracelet with beautiful Blue Goldstone jewelry beads. 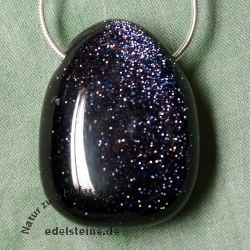 Shiny gemstone with whole. 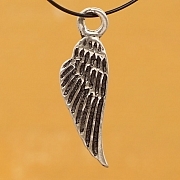 You can wear it on a leather ribbon or a thin silver chain. 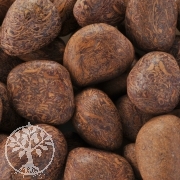 You can´t find this gem in the nature because it´s produced synthetically. 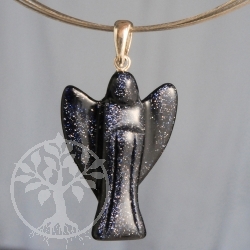 Glittery blue Saponite Chakra Stone. 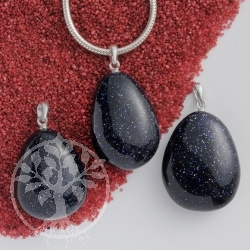 Semi precious stone Blue Sandstone gift set. 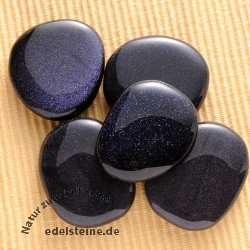 The card can be used for other Blue Sandstone jewelry also. You get 5 Pieces of Saponite. 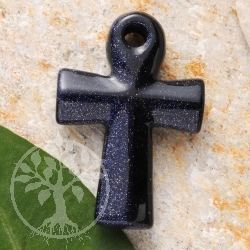 42 x 28 mm Blue Stone Ankh large stone cross made of genuine precious stone ground by hand. 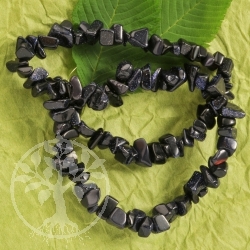 Stone Ankh Blue Stone is suitable for a leather belt or a necklace.Beautiful Gemstone Jewelry Gothic. 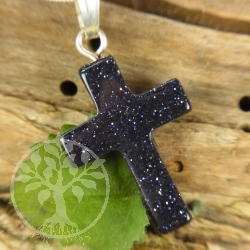 20 x 15 mm Gemstone Cross. Jewellery gemstone slice with whole. Donut. 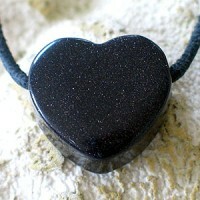 30 x 25 mm Gemstone hearts made from Blue Stone. 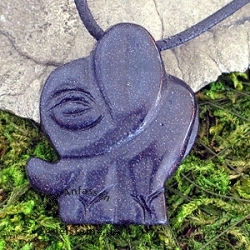 Blue Stone heart pendant. 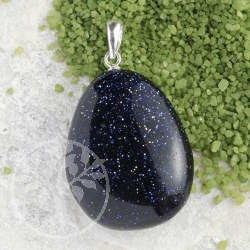 25 x 40 mm Blue Stone as a pendant in a rectangled shape. 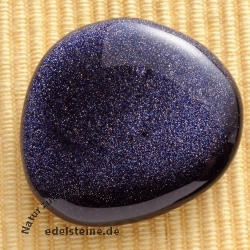 The Blue Stone gem stone is about 24 mm largely. 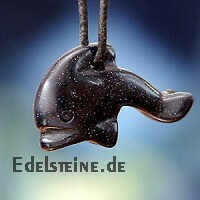 Genuine jewel decoration from Blue Stone with silver eye. The eye is large from genuine 925-er sterlingsilver and about 5 mm. You can carry this piece of jewellery thus marvelously at a tender silver queue chain or use a naturally or colored leather volume. Anhaenger "indischer Elefant" aus Blaufluss ist momentan ausverkauft ! 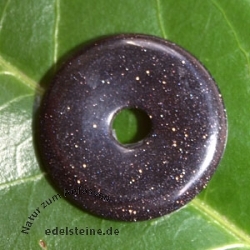 Blaufluss Kugelkette 45cm/16mm ist momentan ausverkauft ! 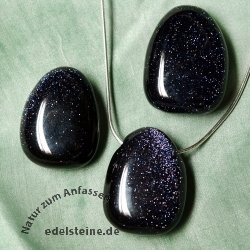 Blue Sand Stone Pendant 3 pieces ist momentan ausverkauft ! 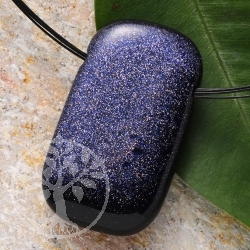 50 cm long gemstone necklace of sparkling blue river. 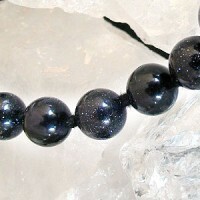 A fine dark ball chain with a lobster clasp. Blue Stone Ball Beads Necklace 50cm ist momentan ausverkauft ! 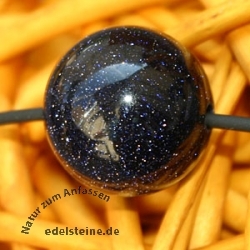 Blue Stone Ball Pendant ist momentan ausverkauft ! 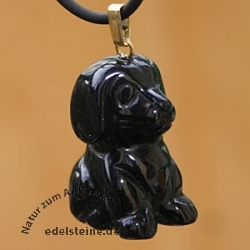 Dog Pendant Bluestone ist momentan ausverkauft !